Few careers are as fulfilling as that of a nurse. Nurses are charged with helping to ensure the public health and they play a key role in helping people through difficult times. Nursing, as a result, is a highly respected profession and registered nurses are in demand. There are, however, unfortunate incidents which can lead to a professional potentially losing their license. Additionally nurses who have gone to school and met all of the requirements to become a nurse may find that the Board of Nursing is denying or delaying them their license. Our Phoenix lawyer assists professionals with complaints which have been filed before the Arizona State Board of Nursing as well as first time applicants facing difficulties. If you find yourself in such a situation then your professional future may be at risk. Contact our attorney today to schedule an initial consultation. We also represent professionals in other Maricopa County cities such as Mesa, Glendale, Scottsdale, Chandler, and Gilbert. We also assist Pima County residents in Tucson. There are several circumstances which lead to a nurse facing disciplinary proceedings. These may involve instances in which a nurse is charged with a misdemeanor or some other crime. Another common instance is when the professional has addiction issues and is alleged to have diverted prescription medication for their own use. Disciplinary proceedings often start as a result of criminal charges filed, a nurse being reported to the board by another nurse, or by some other type of complaint made to the board. Such allegations will often proceed to a formal hearing and it is possible that the nurse may lose their license. Disciplinary hearings involving nurses are initially handled by the Arizona State Board of Nursing. They have a well earned reputation for being one of the toughest professional boards in Arizona, making it essential to retain counsel immediately. Ideally the matter can be resolved through negotiations with the board, but if they cannot be, the matter can then be appealed and heard by the Arizona Office of Administrative Hearings. Such matters begin by the Board contacting the nurse. If a private resolution is not reached then the matter will proceed to the Administrative Hearing. The final hearing will be held before an administrative law judge and will resemble a civil bench trial (meaning there is no jury). While some discovery (the ability to gather evidence) is not permitted as it is in a civil trial, the accused is given the opportunity to testify on their own behalf, cross-examine witnesses, and present evidence. At the end of the hearing the judge will provide a recommendation to the Nursing Board and the Board will make a final decision regarding discipline. That decision may be appealed to the Superior Court. Hiring an attorney who is familiar with the process and experienced in presenting evidence can be crucial. Bretton Barber is a Phoenix attorney who assists Arizona nurses who are facing discipline due to drug charges, other misdemeanor charges, or other forms of misconduct. Once retained Bretton will immediately determine possible issues to raise in your defense, develop a plan for necessary investigations, and begin accumulating evidence to present on your behalf. He will aggressively represent you at the hearing and assist you with any licensing appeals to the Superior Court, should one be necessary. Our lawyer understands that this is a stressful time in your life which is why he will be in regular communication throughout the process. Bretton regularly gives out his cell phone number, promptly responds to emails, and makes himself available to answer your questions. Contact us today. 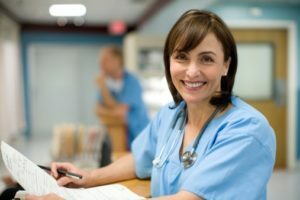 One of the greatest mistakes made by nurses is not immediately contacting counsel upon learning of a potential disciplinary action or complaint. It is understandable that one can be overwhelmed by receiving such a notice and such feelings can lead to an “ignore it and hope it goes away” approach. Often times and equally dangerous is a nurse who tries to handle the matter themselves, not realizing the implications of everything that they do or say. Doing so will likely only make matters worse. The sooner you contact an attorney then the sooner your counsel can attempt to reach a resolution which preserves your license and avoids the administrative process described above. Do not make the mistake of waiting until later – contact us now. It is also crucial that a nurse contact counsel when charged with a crime. Under ARS 32-3208 an RN, LPN, and CNA’smust notify the licensing board within ten days of being charged with certain types of crimes. Failure to do so can result in additional discipline and fines.